Having a bind off break sounds too horrible for words. Luckily I’ve never had it happen to me. I use some combination of these tips & tricks with every project I bind off. 1. use a larger needle. Go up two or three needle sizes for your bind off. So if you’re using a US 5 or 6 for the main body of the shawl, go up to a US 7 or 8 for the bind off. I don’t use this idea often because I usually don’t want to go find a larger needle, but it’s a sure fire way of getting a looser bind off. 2. use an inherently stretchy bind off. Some bind offs are naturally stretchier than others, the bind off that most of us learn when we first learn to knit (k2, pass 1st stitch over the 2nd, k1, pass 2nd stitch over 3rd, etc.) is very inelastic. So instead use something that’s more elastic such as Jeny’s Surprisingly Stretchy Bind Off, or the Decrease Bind Off. No seriously, do what you need to do to relax before you start binding off. Even the stretchiest bind off will loose a lot of it’s elasticity if you work it while stressed out, hunched up and yanking the yarn. Some people say to concentrate on working your bind off loosely, but I think that can easily lead to a sloppy bind off. So I say just drop your shoulders, get a cup of tea, find a comfy seat and start binding off. 4. if you need to get up, get up. If you need to pause in the middle of your bind off because something comes up, or you get tired of sitting. PAUSE. Set your knitting to the side and come back to it when you have more time. It’s better than rushing to finish, because when we rush we tense up, when we tense up our knitting gets tighter, and tighter knitting leads to a more inelastic bind off. 5. increase your stitch count right before you bind off. This is my favorite trick and I have a couple of upcoming posts about it that lay it out in full and get into the nuances, but basically you place a bunch of evenly spaced increases across your piece, a row or two before binding off. This means your bind off has more stitches in it than the main body, and so each stitch has to take up less space when you block the piece. 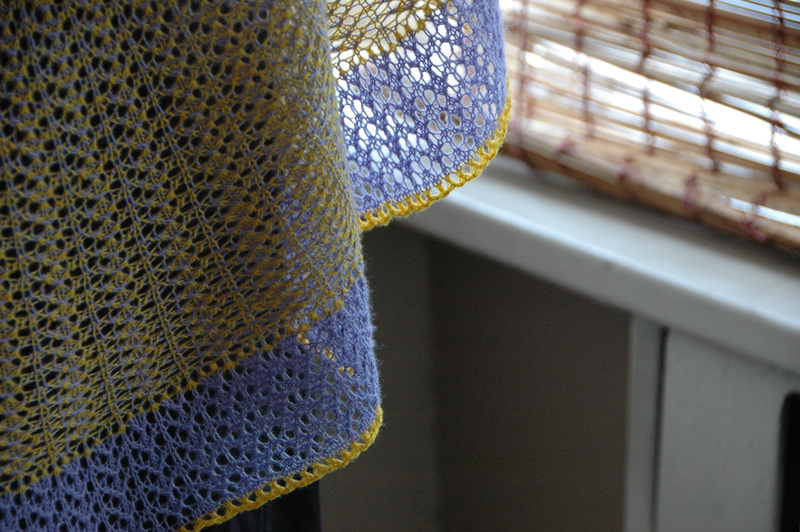 This trick works best for shawls, but you could use a variation on it for a garment. And now that you know all my bind off secrets, got any tricks up your sleeve? Always use the perfect bind off for your fabric. I’m so glad you like them, and find them useful!! !